Rated 5 out of 5 by skipper10 from A Change of Pace I really liked this game. The help button was especially nice--you didn't have to keep clicking it back through the screens to get you where you needed to go because it would direct to what direction you needed to take next. The illustrations were good, and I really liked the story line. I'm glad I bought it. Rated 5 out of 5 by helenchic from Feel this game First I don’t know, what to say about this game. Strange and beautiful. Like a weird dark tale book. Next I feel this game. I feel a fear of city, i feel a loneliness of my little hero. I saw fog and Shadows, despair of citizens. I really know, what to say about this game. It’s different and intriguing. Play and you feel that, what I feel during gameplay. Rated 5 out of 5 by megs56 from DIFFERENT AND ATMOSPHERIC I enjoyed this unusual story with not a lot of HOP's. You are a child sent to the workhouse and meet Emily, a young girl whisked off by the shadows, who asks you to help her. I didn't find it easy, as some of the others are. You needed to think, and a few times you wouldn't find the piece for a puzzle until an hour or so after you discovered it, so you had to rely on memory also. Very enjoyable. Rated 5 out of 5 by elysium_67 from Beyond the Invisible is Beyond Entertaining! I really loved this game. Yes, the scenes are dark. I had no problem seeing anything, though. I thought that the darkness and bleakness added to the feel of the game and helped set the mood. Also, it's so different from the many games that are out there now that are hyper-colored. The H.O. scenes were great - nothing was too easy to find and I liked the challenge of that. The one issue I DID have was that the written dialog had a LOT of typos. I would definitely try it before you buy it because I think that this game is enjoyed by a specific group of players and may not be your thing. Rated 5 out of 5 by FrauMeike from Precious little diamond Even though this game comes without any bling-bling and has no voice-overs, collectibles or any kind of extra, I give it a full five out of five stars. The visual appearance is among the most artistic and unique styles I've ever seen anywhere, let alone a PC game for a handful of dollars. I'm a huge fan of European comic art, and here I find myself catapulted right into a french graphic novel with a slight resemblance to a Tim Burton movie. I love it! The crooked trees, the pale yet lovely little orphan girl, the worn out cobblestone pavements, the living shadows. Really, it's adorable. As mentioned, there are no voices, but you don't need them anyway. Not to create atmosphere, that is. The sound effects are so brilliant, so exquisite, and the atmosphere they create is so dense that I myself don't need talking people to feel the story. The overall gameplay is self-explaining and doesn't offer surprises, you seek items you need in other places to open a lock, a door, a chest. The HO scenes are crisp and only slightly interactive, but they're crisp and as beautifully drawn as the rest of the game. I'm going to buy this jewel and so should you if you're into graphics and sounds induced suspense. Rated 5 out of 5 by mrRoman from Loved It - It Gave Me Goose Bumps! This is what gaming is all about. Excellent adventure! The storyline is compelling and completely immersive. Stunning graphics and artwork are always a plus for me. I am also pleased that the gameplay provides plenty to do in each scene, with lots of challenge. Levels: Casual, Advanced, Hard and Custom. Map: Jumpable and shows active areas. Inventory: Lockable Helper Music: Very appropriate and a bit scary at times, I don’t think I could play this game in the dark! Rated 5 out of 5 by belamba from Love this game.... Hope these devs make some more games. Don't know why there's negative reviews. On reading them I decided not to bother with it, then read the positive ones today and decided to give it a go and glad I did. Very user friendly game, and challenging for a change. Wasn't dark on my screen. Puzzles a bit different, and HOPs nicely done and not too difficult. I'm playing Advanced, but there are two harder levels and an easier level. I love all things spooky, and this game is spooky. Music in keeping with theme. Rated 5 out of 5 by tesamoine from Something different gets this game the extra star Based on the demo: I see so many of the same type of games released, that when a developer goes off the beaten path I am relieved,. While this game will not win awards for grammar it does deliver a great story. The HOS are list with a bit of interaction. The puzzles were very original and fun... no 15 step puzzles that do not make sense. The music is just wonderful and perfectly suited to the game. The sound effects add great drama. I love to play games by new developers because it gives me the chance to see and play something new, other than the usual "oh look, I found a gear". I rate this 4 stars with the 5th thrown in for originality. Rated 5 out of 5 by Sante001 from First Scene and Beyond: Enjoyable! For those who have given it 4-5 stars and the great reviews, I can only say ditto. The only thing that I can add is that both the hidden object scenes and mini-games were very original. Great game. Off to purchase! Rated 5 out of 5 by Daxadillion from Better Than I Expected It To Be. What a brave little boy to take on the Shadows that appear from the mist, he is definitely a hero! There is so much to do here, there and everywhere I‘m spinning. 4 levels: Beginner, Advanced, Expert and Hard. Inventory: Lockable. Hint: Very helpful and charges quickly on the Beginner level. Map: It is a jump map. An exclamation mark flashes a few times when you open it showing areas with tasks to perform. Diary: The boy writes it very well and it‘s amusing at times, and you can replay some of the cut scenes. I find that after taking a break it is helpful to read it to remind me of what I had done earlier. Voices: None at all, but decent sized boxes pop up and the typeface is very clear. Music: Excellent. Graphics: Very well drawn and so appropriate to the game. HOPS: Lists and some interaction in each one I have played, also rather challenging for my old eyes. Mini Games/Puzzles: A wide variety, some are easy and some aren’t, it’s not like me but I have already skipped one as it was driving me nuts. Helper: (I think I can hear groans coming from some players!) His name is Reed, he is relatively unobtrusive, he’s sort of a cross between an elf and a fairy but prior to using him you have to find a “bit of magic”. I played the demo and then about another half hour and so far he’s only been used 3 times. Enjoy the creepiness! Rated 5 out of 5 by Anangelsprayer from Nice job team! There is no VO's in the game, but to me that's neither here nor there, it's the game that matters. I love the main character and his sense of humor, and this is the first time we had a child as a main character. A very strong willed little man. This game to me is running smooth as silk. No hesitations in the zoom-ins, not dark in the least on my monitor, fine to me. And I love the creepiness of the game. Story: This town turned into a total mist, which did steal the boys parents away from him. He wants to find his parents and find out why the town turn out like this and what is causing it. Practically around every corner he is running into shadows but it is not stopping him in the least. While on his journey he ran into another orphaned girl named Emily. She knows what is going on and what is causing the shadows, but just as she was about to tell, the shadows abducted her. Now he is on a quest to find out where Emily and his parents are. Graphics: I think the graphics are wonderful. The lighting is just right on my comp in and out of H0GS. Music: This is totally adding to the creep factor. I really like the music. H0GS: So far it is the list of words with green words for the extra step. I am not sure if that will change, or stay the same. Map: You have your exclamation points to let you know you have something to do there, and yes you would have something to do, not just the ! and you still have to wait for another item to complete the task. It is also a jump map. Mini Games: Except for one, all the mini games were original which makes it truly enjoyable. And they're nice mini games. Not these umpteen step ones where you need the strat guide for or you end up skipping. Hint Button: Nicely done. It shows you exactly what needs to be done meaning even it's on another screen, it takes you there. I am playing in expert mode, and it's not a long recharge at all. All in all this team did a really nice job with this game. I am going to truly enjoy playing the rest of it and see what happens. Kudos to this team! Rated 4 out of 5 by albeit from I liked it! I bought this game partially out of curiousity since there were such strong reviews pro and con and I wondered what the fuss was all about. Well, I really liked it. I have played hundreds of games and this one is a bit different. The graphics and sounds/music are a change from the usual. It was haunting and I really didn't know what to expect from scene to scene especially visually. I will let others give you details. I enjoyed it. Rated 4 out of 5 by ninja226 from Well worth a try From the reviews, you either love the game or you hate the game. I count myself in the 1st camp. Yes, there are no voiceovers. The English narrative is stilted and written by foreign speaker. If you can look past these minor quibbles, it's quite a good game. 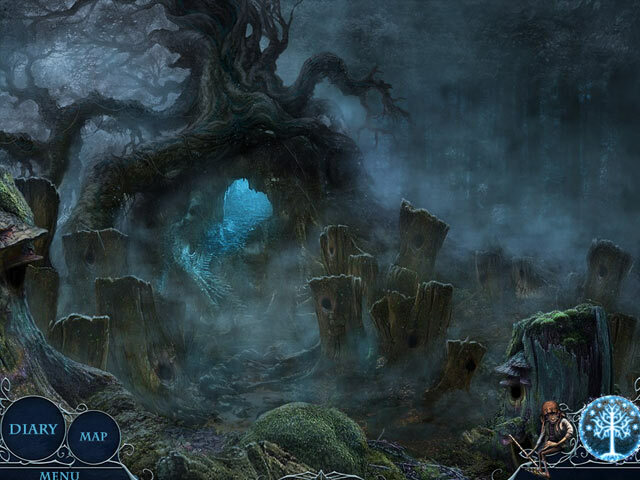 The artwork is well done and appropriate to the dark mood of the forest and the shadows haunting this village. The cut scenes are clear and crisp. Background music is entirely appropos for the overall mood of the game. Nice special effects. The HOPs are standard variety. There are a few items which are well camouflaged and "hidden". I don't understand why people gripe about items too small to see---that's the whole point of playing these games, you're supposed to use your powers of observation to find obscure objects! I would recommend playing the game with some help because the tasks to complete are all over the place and go back as far as the 1st few scenes encountered, when you're nearly done with the game! Having an exclamation point on the map is extremely helpful in progressing, as are the explanatory and helpful messages when you encounter items along your journey. The puzzles are mostly easy to manageable, but my least favorite was matching the tags to the batch of keys. There's no walkthrough, but there are some helpful videos out there. The storyline drags a bit in the beginning and middle, but makes complete sense near the end, which is done well. This game is well done. I recommend a demo to see for yourself. You will be pleasantly surprised. Rated 4 out of 5 by Heather_G from Nice little adventure that's not like all the rest. I'm going to side closer to the five-star rating reviewers on this one, but honestly, this nice little game does lack some polish when it comes to dialog. The nay-sayers are right that the translation or writing was done very poorly, but I never had any trouble understanding what they meant (even when they said the opposite of what they meant, like "This puzzle can't be complete until the piece is missing." or something close to that). You know they meant "until the missing piece is found" because that's what just about all minigames are like. Oh no! There's a piece missing! What a surprise! Aside from the dialog and a couple of odd names for hidden object items, there's nothing wrong with this game at all. The hint system is very nice in that it leads you along from one scene to the next to get you where you can do something, and the jump map also told you where there were things to do. There were four difficulty settings which is great, although the one I chose wasn't supposed to show where actions could be completed but it still had sparkles on the HO scenes. There are not very many HOS's, and not all that many puzzles, but more like an adventure game where you have to find one thing, in order to do something or open another area. The sound effects are creepy. There is some music but it's subtle and suits the mood of the game. The game ran just fine with no glitches for me. It's a little on the short side but I got a good three hours out of it, and felt it was well worth the Daily Deal price. The developer, Graphium Studios, is new to me, and from their website, it looks like they haven't been around very long and this is one of their first games, so I'm willing to cut them some slack on the translation/dialog issues. If they make more games like this one, they'll soon earn enough money to hire a professional translator or dialog writer. I think they did a great job for an early effort and look forward to seeing more of their work. If in doubt, try the demo, but if you like adventure games, or are looking for something different, I'd highly recommend this game. Rated 4 out of 5 by twinterberg from HAD TO BUY IT... I really enjoyed playing this game - I don't understand why anyone would say - for example - the pointer does not change to a hand when you need to grab at something - and that you have to click around the different scenes blindly because there's not much or any interactive help when it comes to knowing what you need to do next. This game is just like any other game when it comes to all the interactive help and the pointer showing you what to do that is necessary to play the game.. To me, this game is NOT boring The negative reviews that I read are probably nothing more than technical issues certain people may be having with their computers. I don't buy a game unless I really like it and this is one I really like. Rated 4 out of 5 by kateblue222 from Gloomy and nonsensical, but satisfying. This review is based upon the whole game. I actually had fun playing this game, though I see why there are low ratings out there. The puzzles are really good. Not too hard or too easy, and interesting. The sound effects were appropriate and added to the ambiance. The HO scenes were OK. (They aren’t my favorite part.) I almost quit early on because of the slowness of the game caused by the lack of cursor assistance (as other players have noted) but the hint worked well, and the puzzles just drew me on. Don’t try to make sense of the story. (Skip this paragraph and the next if you don’t want to know about the story, but basically I am not going to be telling you anything much because the story doesn’t make sense.) It’s unclear why a young boy could wander around a small town and take care of himself for four years and then suddenly be picked up by a mysterious and apparently evil caretaker (never really explained) as a “tramp” and put in a dungeon cell (the first scene). It was immediately obvious that English was a second language for the developers. Then, in the next cell, there’s a creepy looking little girl that the boy spends the rest of the game following around and trying to save. Now, this boy apparently never saw this child before being in the dungeon, so the entire motivation for the story is unclear. Lack of sensible story was the major flaw in the game. I don’t care about the story as much as other things, but if you do, be aware. Also, there was a lot of running back and forth through the town. Though there was a good map. But I am unsure why there needed to be so much traveling from one side of the town to the other. I found it annoying. And it was SO monochromatic, in gruesome gray. I was glad to see the remnants of a sunset suddenly appear in some scenes. But the coloring was appropriate, as were the sound effects. Ambiance was definitely appropriate. Yes, yes, it’s gloomy and nonsensical, but the puzzles and HOS are good. And that’s what it’s about, right? Rated 4 out of 5 by Chrisppp from I liked this game I don't often write reviews, but after all the negatives I read on this one, I felt compelled. This is not a typical game. I really had to use my head - and the hint button - with this one. It was really good and interesting to be so challenged by a game. I will admit, I did skip a couple of the games, but I was able to defeat most of them. The art. Beautiful! Spooky! Gorgeous in a not-pretty way. It reminded me quite a bit of the art in a comic book of the 80s I used to read (Sandman). The language: Ok, ok. There were grammatical and spelling errors. Since there were no voice overs, I simply allowed the voice in my head (what, you don't hear voices when you're reading something?) to have an eastern European accent and be struggling with English! It did not diminish my enjoyment of the game at all, and I am frequently accused of being part of the Grammar Police. While I am recommending this game, I'm doing it with a slight reservation: be ready to be challenged on many levels. This is not a typical BF HO game. If you've got an open mind and want to try something different, go for it. Overall, I enjoyed this game very much and will definitely try another from this developer. Different is good! Rated 4 out of 5 by LunaNik from Excellent story, good gameplay, dragged down by glitches Beyond the Invisible: Evening Review based on 60-minute demo PREFACE… I love stand-alone games and I'm always glad to see new developers enter the arena of casual gaming. Evening has a promising story line, complex gameplay, unique graphics, and awesomely moody music. One small issue keeps me from instantly purchasing: my cursor kept devolving to the system cursor, and I had to repeatedly go to the menu to get it to change back to the game cursor. This effectively destroyed my immersion into the game world. ONCE UPON A TIME... The small hamlet of Woodville lies sequestered within the endless forest, shrouded in mist and haunted by eldritch shadows. One by one, the citizens began disappearing, abducted by the shadowy creatures. Fear and despair gripped the town. All hope lies with you, an orphaned child. PLAY THE GAME... Evening is about 60% adventure, 20% HO, and 20% puzzle. Adventure mode finds you traveling about Woodville to find items and tools, repairing devices, and banishing shadows. HO scenes are minimally-interactive lists. Puzzles are, at least in the demo, familiar and of medium difficulty. They include using + and - symbols to make numbers in a grid all read zero, changing wedges in a pie first orange then blue, and using sliders to fit spheres into holes. SIGHTSEEING… The scenery is reminiscent of a graphic novel, hand drawn with lots of contrast. Colors are minimal and unsaturated, which quite fits the mood of the story. Animation varies. The cutscenes are more jagged like stop motion, while the close-up in-game animation is smooth and realistic. SOUND WAVES… The music is quite lovely, consisting of ambient soundscapes that aid in immersion. There are no voiceovers, but I didn't miss them. I did miss environmental sounds, and felt there could have been more of them to evoke a half-abandoned town. Creaking doors and such. TOOLBOX… The map shows active areas and transports, although it does take a couple seconds to update. There is a journal in which you can revisit the cutscenes and read the history of Woodville, as well as your character's impressions of the ongoing quest. And you have a miniature magical fairy named Reed to help you reach things. WORKING THINGS THROUGH… (new category about game mechanics) The inventory locks open, and zoom boxes close automatically unless they contain something to read. The grammar and spelling is atrocious, but you can understand the text. And, as I said, the cursor keeps changing to the system one, requiring a visit to the menu to change it back to the game cursor, which was irritating. THE LAST WORD… If the cursor issue is fixed, I will buy this game. Otherwise, I'm afraid that was too annoying a glitch for me, because it kept pulling me out of the story to deal with it. Other than that, I thought Evening was a nice little stand-alone game with an intriguing story and good gameplay. Rated 4 out of 5 by Marja67 from Darn it! Loved this game untill it stopped my compt. cold after more than halfway through! Said not enough video card. What does that mean? Pooh! Rated 4 out of 5 by Torpedo1 from Beyond Good This game comes so close to getting 5 stars which is a surprise to me, because I was expecting this game to be boring. The graphics are well done as well as characters. Like the strange little wizard I picked up. The Ambiance of this game was very good. I really like the HO's this game had and the puzzles were simple but good. Music and sound effects were good. This game has a jump map. The only thing that kept it from having five stars was the HO's were too dark. Still I will put the game on my to buy list. I think the game is a nice little sleeper. Rated 4 out of 5 by pgillenw from Truly Enjoyed! The developers did a great job. Nothing especially fancy just an old HOG style game that challenged my old brain. Those who felt it too dark well that was true to the story line, for those who have not played just think of this as a tad more challenge for you. The game is short and I feel well worth a play. Rated 4 out of 5 by TeachumWell from A New Twist to Memory Lane This is a game which has some vey creepy, suspenful moments. The drab, "worn-out look of the town and the characters as well helps with the feeling of fear and sadness which have enveloped the small community. The hints are very clear, recharge quickly and the map is actually helpful. But, sadly, reading the dialogue and tutorial and other information is vey frustrating. Like far too many devs, these folks appear to lack a good translator and many of their sentences initially make no sense and have to be puzzled out. This distracts from the immersion this weird story deserves. The characters are drawn, well, creepy! The little girl reminds me of a character on the long-gone Addams Family series. Odd, too, that the Mayor(?) appears to be wearing a nun's habit of times past. That only adds to the weirdness, but one wonders....Anyway, give the game a try and see if it appeals to you. I'm still not sure but may buy it to see just how the story evolves and what happens next! Rated 4 out of 5 by Novella2 from Let there we light! Played approx. 15 minutes of demo and found it to be fun. I believe there are 4 levels of play. You have a little helper, who is not obnoxious like some. I have a free game, and will use it to get this one. Give it a try. Rated 4 out of 5 by pennmom36 from Things That Go Bump In The Night Wow! What an unexpected diamond in the rough. I love the dark creepy vibe centered around a town consumed by darkness, and shadows that steal people who dare venture into the night! This game isn't going to win awards for the best graphics, or phenomenal features, there aren't even any "frills" What the game does have is an exceptional story, original puzzles and some not so logical or typical tasks to complete. The game is dark, but not too dark, creepy, but not too creepy, just the right amount of entertainment, and certainly worthy of a coupon. 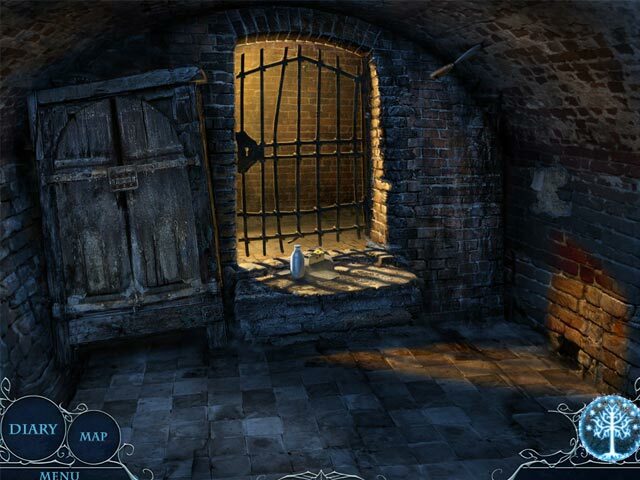 The Hidden Object Scenes are interactive list finds, some items tend to be small but they are still recognizable. The Mini Games are really fun, I haven't found myself frustrated with any so far. There is a pixie? or some kind of mystical helper you befriend that has a magic ability to levitate some items that are out of reach, although he doesn't get everything out of reach which is kind of confusing. If you like dark, somewhat creepy games, and you can overlook the lower quality of graphics, give this game a try, it may just surprise you as well, enjoy! Rated 4 out of 5 by steve_san from Get Ready To Go Beyond Setting: Shadows have appeared in the medieval town of Woodville, causing residents to disappear. One little orphan girl says she has the secret to rid the town of the Shadows, but first you must rescue her. The drawing style could be called "creep-fest" i.e. dark, dreary and 2D, but with a lot of intricate detail. The palette is very strong in blues and grays. While there are no voices, this forces your imagination to provide a voice for each character. On the other hand, there are plenty of sound effects, and they are expertly done making you feel like you are right in the middle of everything. In the very beginning you acquire a helper, Reed, who requires a magic "charge" each time he can assist you. The play is quite varied. I played three (I think) HOS during the full 60 minute (!) trial. They were pretty standard, a few objects required interaction. There were also three or four puzzles which were fairly simple to solve but required a little thinking. They all were cleverly designed to fit nicely into the medieval theme. The main challenge is figuring out which inventory item to use and where to use it. There are many locations, and it is very important to scan every scene for areas of interest because some are easy to miss. And if you do miss one, you will be stuck. Fortunately, the Hint system will show you exactly what to do in those instances. There is also a whole lot of backtracking (I did not use the map - didn't know there was one). You must choose from four levels of play: Beginner (Hints, Help, and Highlights), Advanced (slower Hints, Help, no Highlights), Expert (no Hints, no Highlights) and Hard (no Hints, no Highlights and you cannot change the difficulty). I recommend Beginner or, if you feel especially daring, Advanced. While the story is very simplistic and kind of gets lost in the game play, it still works because the game play is so interesting. I enjoyed playing the full trial even though I wasn't too engaged in the story. If you are looking for a light, easy distraction, this is NOT that type of game. You will have to pay close attention and maybe even take notes, otherwise you'll just be bored waiting for the hint to refill. Beyond the Invisible will require you to go beyond your comfort zone. Four and 1/2 creepy shadows. Rated 3 out of 5 by tutortime from Way too dark. This could have been a 5 star game for me. The story line was very interesting as were the graphics. 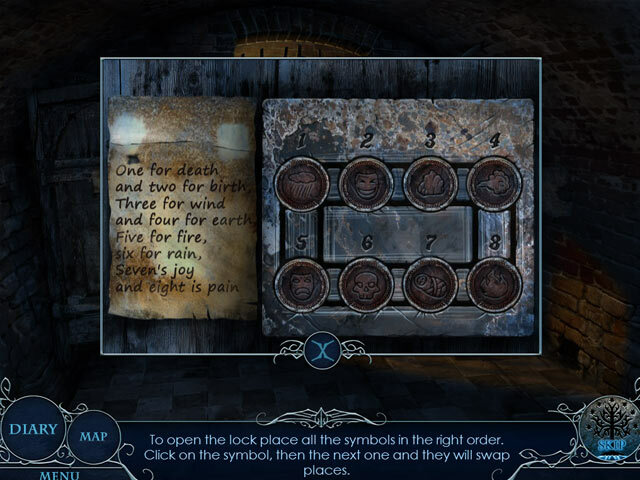 The issue: the game was so dark it was difficult to see areas to interact in, find items in the hidden object activities and where to go - what to do next. Thank goodness for the map. Rated 3 out of 5 by SilverSerena from Different Games have come a long way. Heck, I still remember playing Zork on my PC with no graphics. You just typed in your direction and the computer came back with a description and away you went. This game sorta reminds me of that period, but with music and graphics. The storyline was good. I just wish they had developed it more. There was no animation of the characters which would have further brought the story to life. But, again, it was a good story line. The puzzles were good and well thought out. They were not brain infuriators, but solid. You do have to travel a lot throughout the story so you will use your map. If you want to have some light fun, this game is for you! 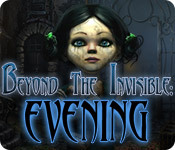 Rated 3 out of 5 by moonwitch1 from Pretty Good Game Beyond the Invisible: Evening is one of those games that beckoned me to play. After trying the demo, I determined it would be a buy for me. I will say though, that the game is definitely buggy in hard mode. I had to restart the game in casual mode to resolve the issue. There is a dark, old fashioned flavor here as you pursue the child through the streets of the old town, disbursing evil shadows as you go. It's a relatively long game, and pretty fun to play. I am not sure I will every play it again, but it's worth the time to take a look at. Rated 3 out of 5 by Rooobeee from Not my type of game I have to admit that I didn't get too far into the demo before quitting. The game didn't grab me. It was definitely different than what I'm used to playing, and that's why I decided to try it out. But, it just didn't hold my interest for too long. The good side: the graphics were great on my computer and they were completely different from what you normally see. The level of challenge was good; I had to use the map to see where actions were needed. And the hint system was pretty decent. I wanted to like this game, but the storyline didn't grab my interest. I did like the idea of using a helper, but I didn't have to use him very often. I didn't come across too many HO puzzles, and the mini games weren't too difficult. While this game didn't hold my attention for too long, it is an adventure game that some may enjoy. I recommend trying it out for yourself to see if it suits you. Rated 3 out of 5 by lillika from Based on demo,I don't understand the 5 star ratings either. Shadows, missing people, but not scary. I would recommend this game for children (the hero is a child), but some of the puzzles seem a little difficult for children. The artwork was dark but not atmospheric. It was two dimensional, which, if done with imagination, can be interesting; I didn't find this game interesting. Mini-games were typical, nothing new, and HOs were sometimes grainy and it was difficult to determine what the items were.